Stuttgart - Private and business clients are now able to enjoy Bus Charter services in Stuttgart. You can now hire our business coaches and have fun on your tour in Stuttgart. Stuttgart is a vibrant city with opulent cultural life that attracts both local and foreign tourists into the city. 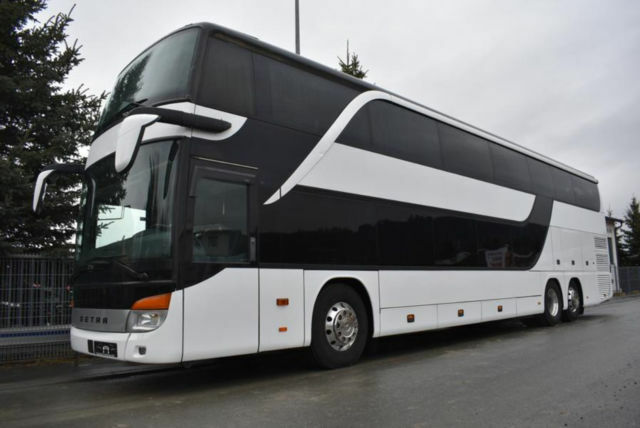 Our proficient Bus charter company will handle all your tarnspoartation plans professionally whereby if you have arranged to travel as a tourist or for business in a small or large group in Germany, you are assured to be served excellently. Stuttgart is a city filled with amusing social and cultural history that attracts tourists to this amazing city who get to see places and sites comfortably from our charter buses. For our guests who cannot communicate in German, should not worry as all of our bus drivers can communicate in English and they will always keep you engaged about everything about the city. They will also recommend the hot spots for shopping, dining or such entertainment that are within the city. For total assertion that guests enjoy a comfy ride where they are able to watch many exciting places and monuments, we also organize bus travel plans that support that. Bus Charter Stuttgart - the first thing you will need to consider when choosing a bus for your guests is that the bus is comfortable and luxurious. Our buses have a capacity of between 5 to 60 passengers and are all fully equipped with restrooms and washing amenities. Our guests can also enjoy a downtime while travelling in between locations as they’ll get entertained by our DVD Players and entertainment screens. If it’s a hot day, they’ll also get cold drinks and snacks from the fridges in the bus. For any tourists’ outings and special employee events, bus charter in Stuttgart is the most ideal selection. Guests are assured to travel in comfort and luxury during the entire trip in Germany. You will get help from our pleasant dispatchers that are ready to assist you put up together your program and select the coach hire that will well serve the requirements of your guests.